These backyard retreats are becoming the latest buzzword in interior design — emerging as the perfectly carved out haven for the woman of the household who seeks a quiet place of her own. 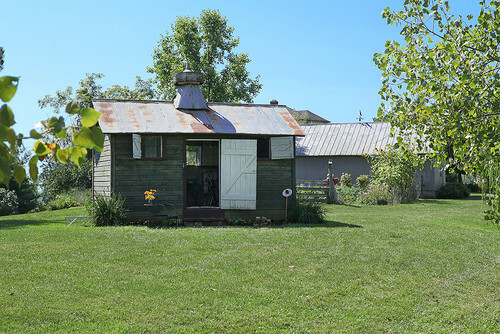 Women are transforming old backyard sheds or even building mini cottages to create a place of relaxation or where they can pursue hobbies, such as ceramics, painting, and gardening. 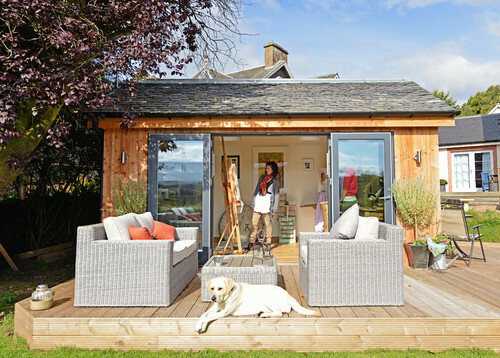 They are designing these mini sheds with everything from crystal chandeliers to luxurious furniture to create a top-notched designed space with all those feminine touches their heart desires. The only rule: No men allowed. 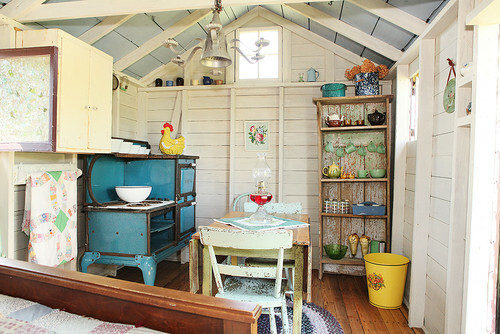 Take a look at some of these ‘she sheds’ photographed on Houzz. A Home’s Intended Purpose: Does Your Home Pass the Test? I think some women would be offended by this post. They don’t want an expensive impractical doll houses from their childhood dreams. They want practical functional spaces that they can work on their hobby, interest, or money maker without having to share that space with anyone else. Over the years I have had many clients that have talked about having their “cave” or “shed” and it was never a playhouse for enjoyment it was always a space to call their own so that they could do their “thing” and not be disturbed by being in the thick of family life. This is a great idea that I think we will see more of in the future as more work and hobbies come home. I think this is the perfect answer for a family with a small home with limited space. At first, I wondered why the man gets an “inside” cave and the woman has hers outside. But, conceivably, the husband could take the outside cave and she take the inside. I certainly wouldn’t mind having my own “She-Shed”!! I think it is terrific!! I wouldn’t mind a quiet place with an overstuffed chair to relax and read. 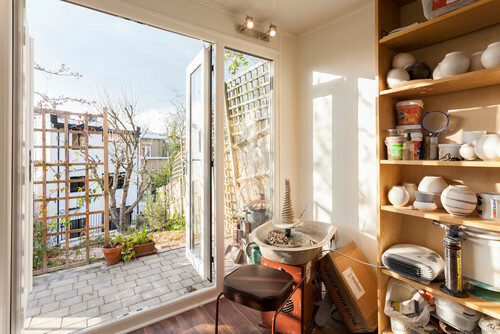 I think it was invented a long time ago… It’s called a “potting shed” to be used for all creative outlets. Tsk.